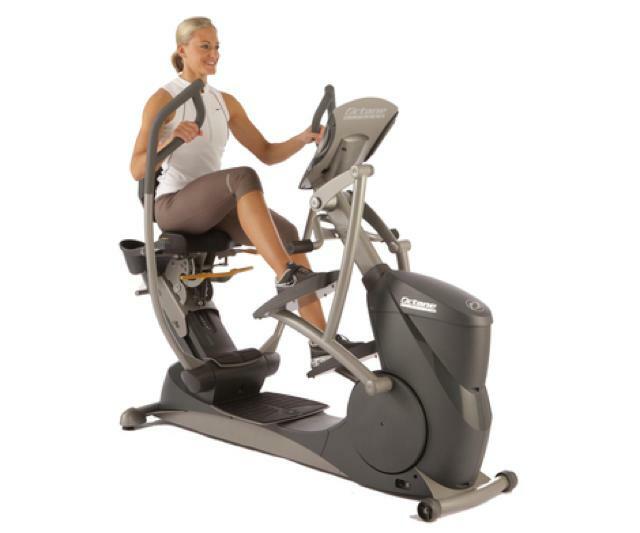 xR6000 Outperforming Any Seated Machine Octane?s xR6000 xRide recumbent elliptical delivers more benefits than other seated equipment like recumbent bikes, rowers and seated steppers. Research shows that you use 343% more glutes and burn 23% more calories on the xR6000 compared to a recumbent bike, thanks to Octane?s exclusive PowerStroke technology. That means better results for you. When it comes to comfort, the xRide can?t be beat. With multiple seat height and seat tilt adjustments, you get a custom fit, and the upper body is challenged by the patented MultiGrip handlebars. This commercial model offers numerous workout programs, the ability to incorporate upper- or lower-body strength training, Workout Boosters and much more.